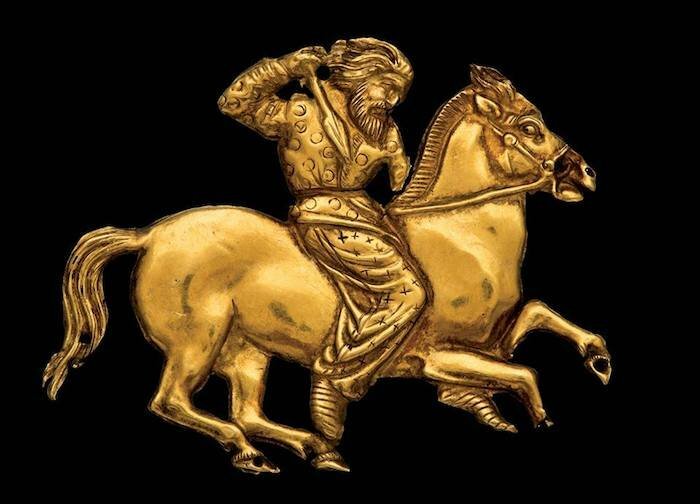 An exhibition exploring the story of the ancient Scythians — “nomadic tribes and masters of mounted warfare in Siberia” — will open on Thursday at the British Museum in London. Scythians: warriors of ancient Siberia will draw on recent discoveries of ancient tombs, which have unearthed a whole host of Scythian artefacts. These include clothes, fabrics, jewellery, weapons, and food, as well as mummified warriors and horses that have been buried beneath the ice for over 2,000 years. Many of the objects in the exhibition are on loan from the State Hermitage Museum in St Petersburg. Flourishing between 900 and 200 BC, and allegedly battling with the Greeks, Assyrians and Persians, much of the Scythians' culture still remains unknown, lost to thousands of Siberian winters. With the aid of these recent discoveries, an intriguing account of a rich, sophisticated civilisation that stretched from the edge of China to the Black Sea has emerged, writing the story of the Scythians back into history. Scythians: warriors of ancient Siberia will be on at the British Museum in London from 14 September 2017 — 14 January 2018. Find out more here.